As the September issues continue to be revealed, our forum members have yet to be wowed by any of the major fashion glossies. 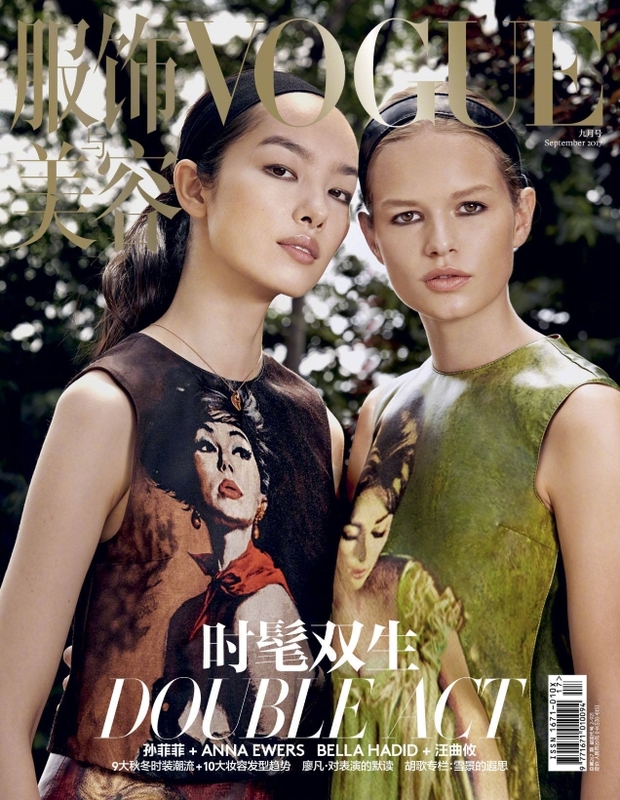 Vogue China has just released a duo of covers for the year’s most anticipated edition featuring four high-profile models. The first cover features Bella Hadid and Chu Wong wearing Christian Dior, photographed on the streets of Paris by Patrick Demarchelier. Anna Ewers and Fei Fei Sun couple up on the second cover wearing head-to-toe Prada, captured by Collier Schorr. Was it enough to meet our forum’s high expectations? A handful of our members were left pleasantly surprised. “Love these! Especially the second one. Finally some fall intrigue for September,” applauded A.D.C. “These are good, wow!” exclaimed TeeVanity. “Gorgeous covers, love both of them. All the girls look stunning,” raved Miss Dalloway. But not everyone was a fan. “It could be nice covers but with different models. As I love Anna I must say she doesn’t look good here. Bella is awful as always. Only Fei Fei Sun is shining,” stated narcyza. “Ugh, when will magazines learn that they must only use models that correspond with the majority readers’ race of the magazine? So annoying! I like both covers. They’re nothing special but they’re fine,” noted dodencebt. “Very dead covers. Sorry. It tried to be elegant but ended up very sleep-inducing. Nope,” MON commented.